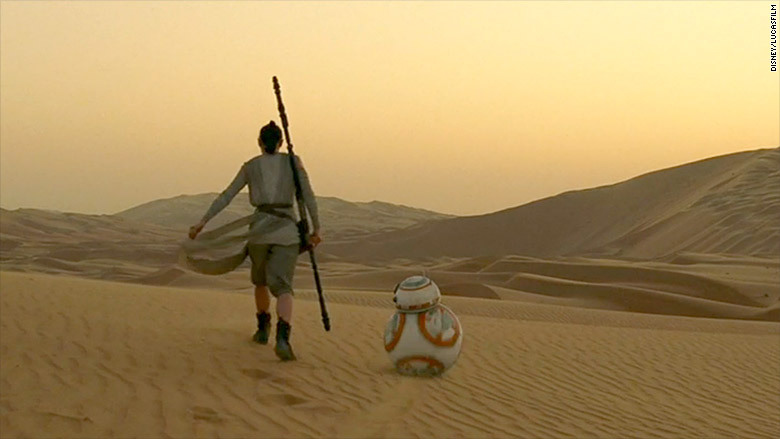 The force is calling to its legions of "Star Wars' fans. 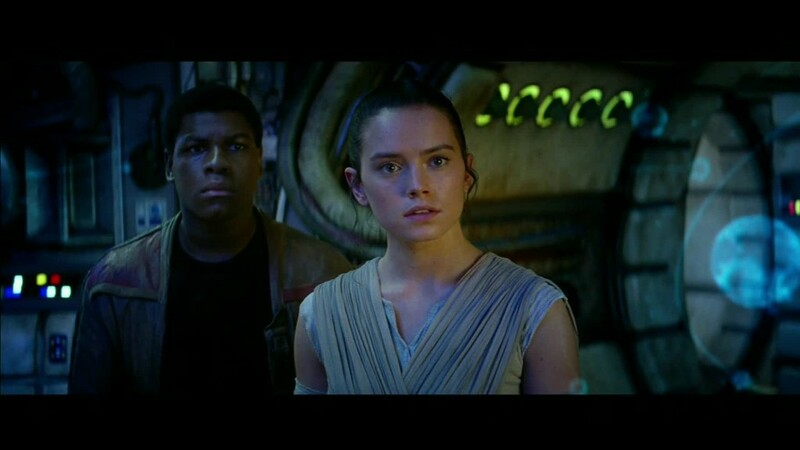 Disney (DIS)'s new "Star Wars: The Force Awakens" trailer premiered during halftime of ESPN's Monday Night Football, and quickly went intergalactic. Following its debut on ESPN around 10:10 pm EST on Monday night, the trailer has racked up more than 10 million views in 15 hours. ESPN's flagship NFL broadcast saw a boost with its peak overnight rating of 11.7 coming at 9:45 p.m. to 10 p.m., just moments before viewers were given their latest looks of Han Solo, Princess Leia and the Millennium Falcon. Fans went crazy for the latest "Star Wars" trailer on Monday night. On social media, the trailer also took off. As of Tuesday morning, the brief two minute preview has been watched over 8 million times on the film's official Facebook page. It also has over 370,000 shares, 200,000 likes, and 20,000 comments. The brief look at the upcoming J.J. Abrams film also sent Twitter into frenzy with it accounting for 17,000 tweets per minute when it aired. Away from Chewbacca and BB-8 breaking the Internet, excitement for the film also broke ticket seller sites on Monday evening. Online ticket sites like Fandango and MovieTickets.com crashed in the hours leading up to the premiere leaving fans without an outlet to grab a rare opening night ticket. "I'll pay 2x the price if someone wants to sell me their Star Wars ticket. I'm serious," tweeted Business Insider tech reporter Steve Kovach.